Can’t have caffeine? Or perhaps you are more of a tea-drinker? 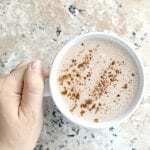 Here’s how to create a deliciously comforting Herbal Latte beverage with herbal tea and a few other pantry staples. So I used to be a coffee drinker. Like a really big-time coffee drinker with multiple cups a day and I didn’t even care if anything was added. Pour me a good cup of black coffee and I will drink it. 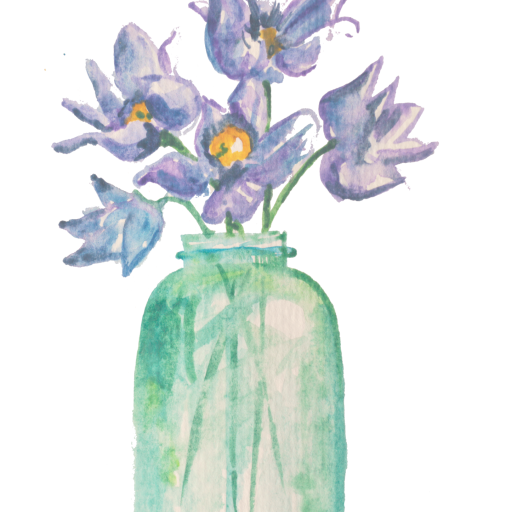 But that all changed with the discovery of my allergies and autoimmune issues. Now, no more caffeine. I’m a pretty big water drinker so it ultimately didn’t bother me that much because I knew I needed the extra water, however, it’s still nice to have a warm comforting beverage once in a while. And that’s when I turned to herbal teas. Herbal teas do not contain caffeine and can even have health benefits, plus they are so tasty and fun to make yourself. It’s a great alternative! One thing that I did miss though was a warm foamy latte. You just don’t get that with an herbal tea. 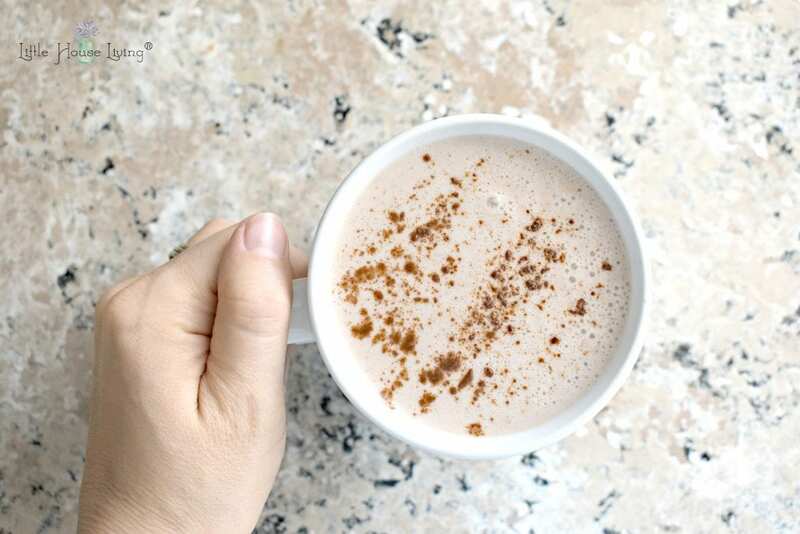 But this summer, on some of the cooler days when we were traveling, I began whipping up this Herbal Latte concoction and now I’m hooked. This is my go-to comfort drink right now! Today I’m finally sharing the recipe with you and I hope you love it as much as I do. Begin by boiling enough water to make your tea. I bought this Stainless Steel Tea Kettle a few years ago when I starting drinking more tea and I just love it. It works great and it’s so pretty in my kitchen since it’s a staple on my stovetop! While your water is heating up, prepare your cup, tea, and ingredients. Open the tea bag and place it in a mug. 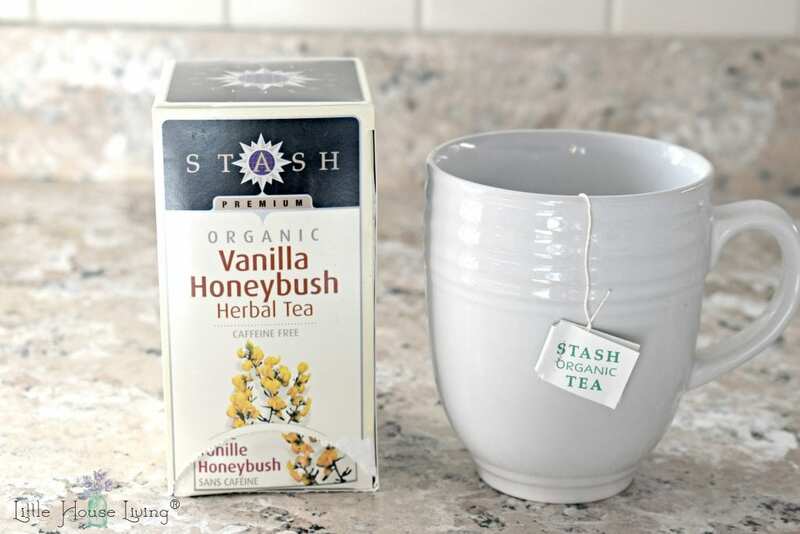 I love the Vanilla Honeybush Tea from Stash because then I don’t add any vanilla to my herbal latte. 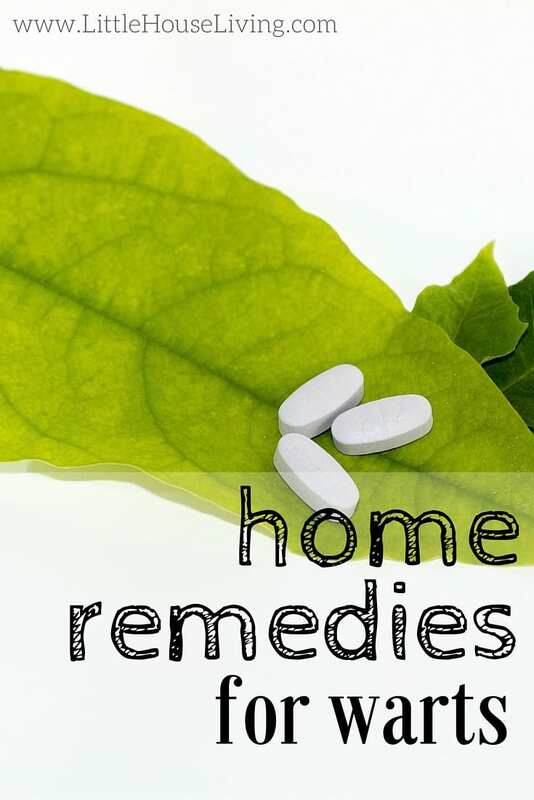 You can also use regular Honeybush Tea or you can use a Roobios tea. I either get my tea from Amazon or from Azure Standard. 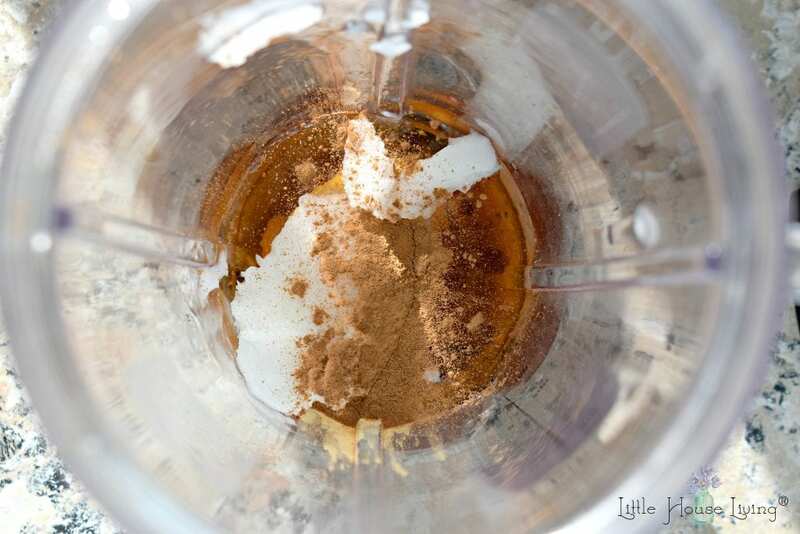 In a blender (I use a small blender for this), add the rest of your ingredients…. cinnamon (add as much as you’d like to your tastes), coconut oil, and maple syrup. Be sure and add a dash of vanilla extract if you are using plain herbal tea. The coconut oil is nessecary for making this a creamy, foamy drink. I get mine from Azure Standard or Tropical Traditions (expeller pressed) if they have it on sale. Do not blend the ingredients yet. 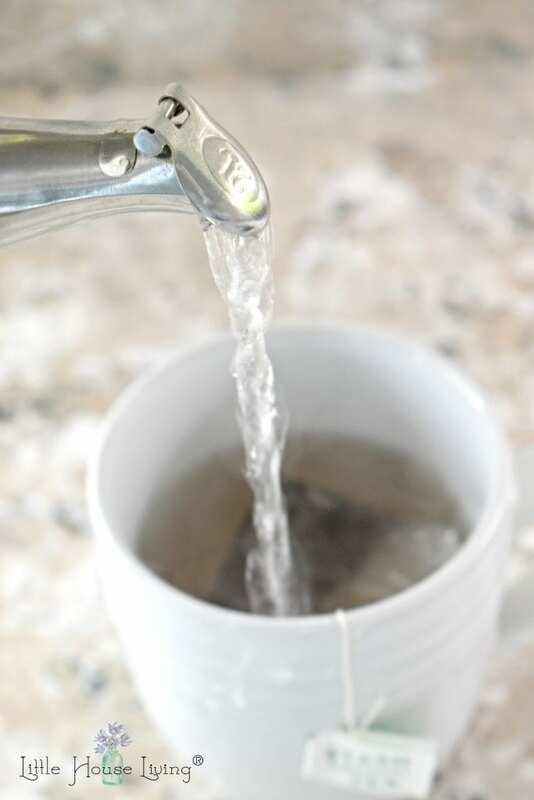 When you water is heated, pour it over the tea and let it steep for several minutes. Remove the tea bag when it’s finished steeping. Find lots of uses for old tea bags in the back of my book, Little House Living: The Make-Your-Own Guide to a Frugal, Simple, and Self-Sufficient Life. Very carefully add the warm tea to the blender. Blend the mixture on high for 20 seconds. 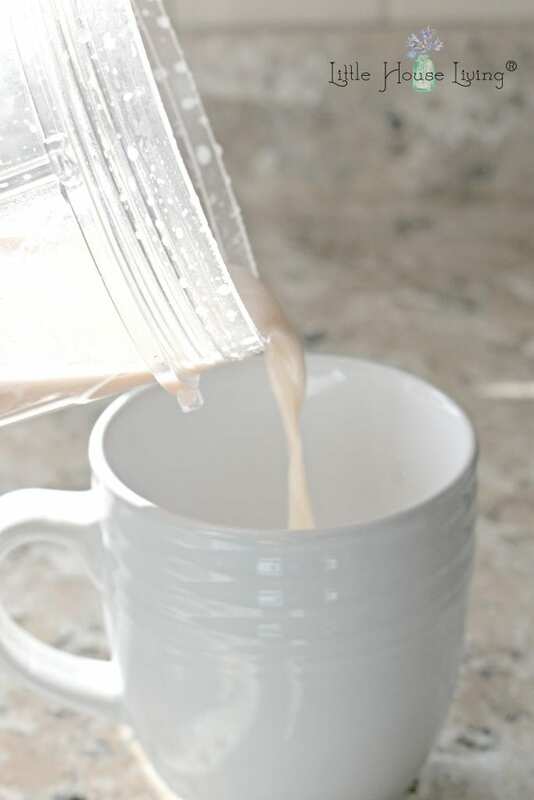 Remove the lid from the blender and immediately pour back into your mug. Blended liquid will be very hot and have a tendancy to splash so be very cautious! Sprinkle with a bit of extra cinnamon (if you love cinnamon as much as I do!) and enjoy! If the drink was blended enough it will be perfectly creamy with a nice layer of foam on top. So good! 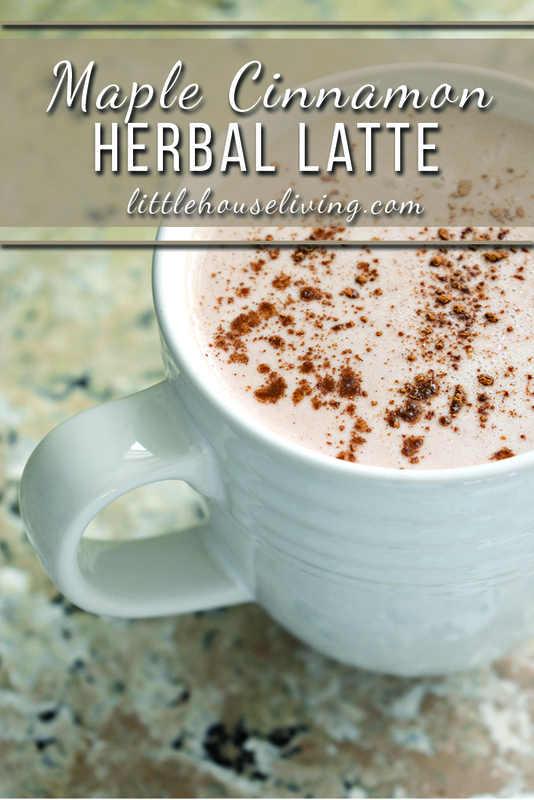 Need a copy of this Herbal Latte recipe? Print it below! Begin by boiling enough water to make your tea. While your water is heating up, prepare your cup, tea, and ingredients. Open the tea bag and place it in a mug. The coconut oil is nessecary for making this a creamy, foamy drink. 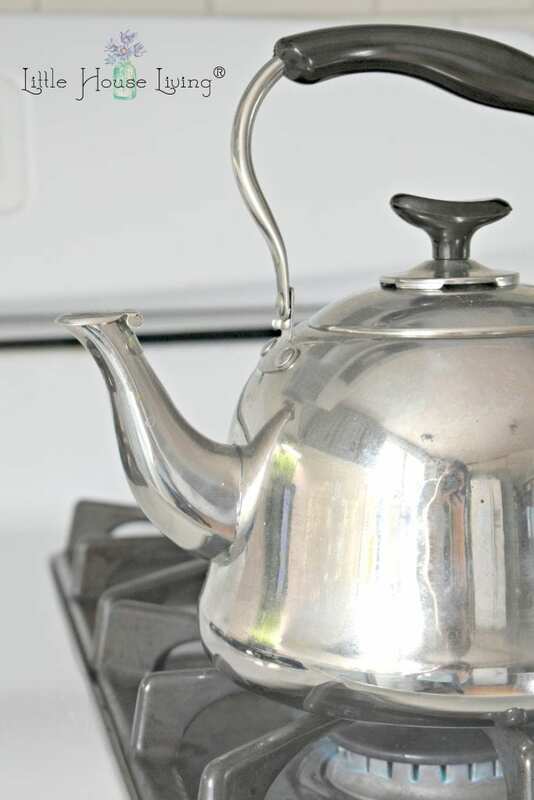 When you water is heated, pour it over the tea and let it steep for several minutes. Remove the tea bag when it’s finished steeping. Do you drink herbal teas? 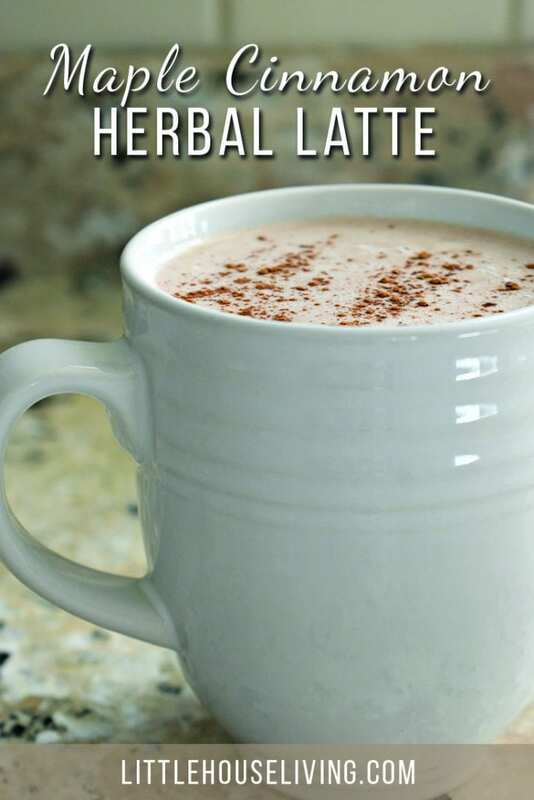 Would you give this Herbal Latte a try? I’m going to make this tea and I was wondering if coconut milk would do? As I have some on my shelf. I haven’t tried it with coconut milk so I’m not sure creaminess but I would guess that it would be similar. This sounds wonderful! I am allergic to Roobios teas. I am not sure if Honeybush tea has Roobias as an ingredient. I loved Red Cappachinos when I lived in South Africa. They are very popular there. Rooibos tea in cappachino form. I think I like your recipe better and can’t wait to make it! This sounds lovely – I’ll give it a try! I LOVE your book! Thank you for taking the time to put it all together. One of my families favorite recipes comes from your book – chicken noodle soup – the best recipe I have ever found for it. Also we make your fruit cobbler year around and the guys enjoy it for breakfast with milk – like cereal! I can’t wait to get busy and make many things from your awesome recipes! Oh my word-this is fantastic tea! I used honey instead of maple syrup (that’s what I have on hand) Next time I will decrease the amt. of honey, but so creamy and fantastic! Thank you so much for this recipe!